Since Belgrade is a pretty easy bus ride from Sofia, we are lucky to get to spend a fair amount of time exploring Serbia. We recently added it up, and between the two of us, we’ve spent about two months traveling, backpacking, and road tripping around the country. While Serbia is a “typical Balkan country” in a lot of ways and you should check out our general Balkan tips before you go, there are also some unique aspects to traveling here that you should be aware of to make your trip go as smoothly and safely as possible. 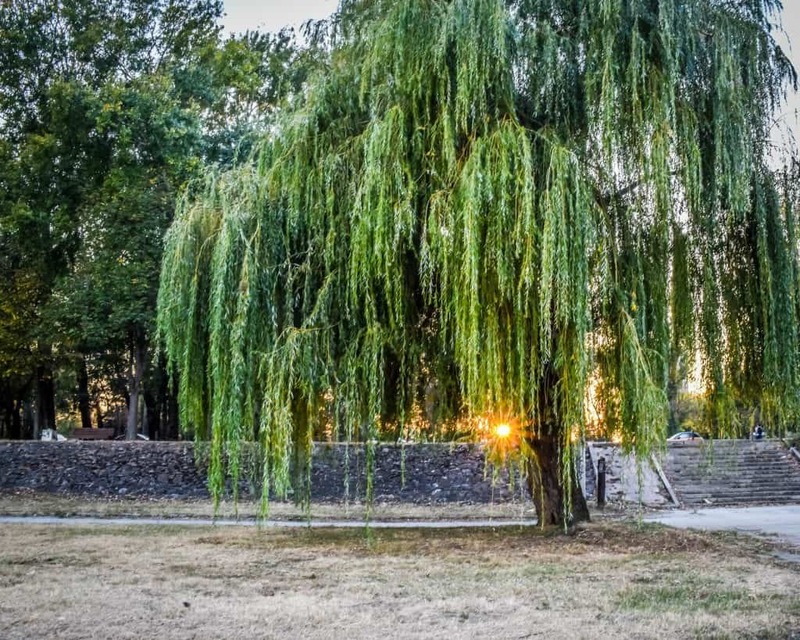 So here are twenty-one Serbia travel tips we think you should know before you visit Serbia. 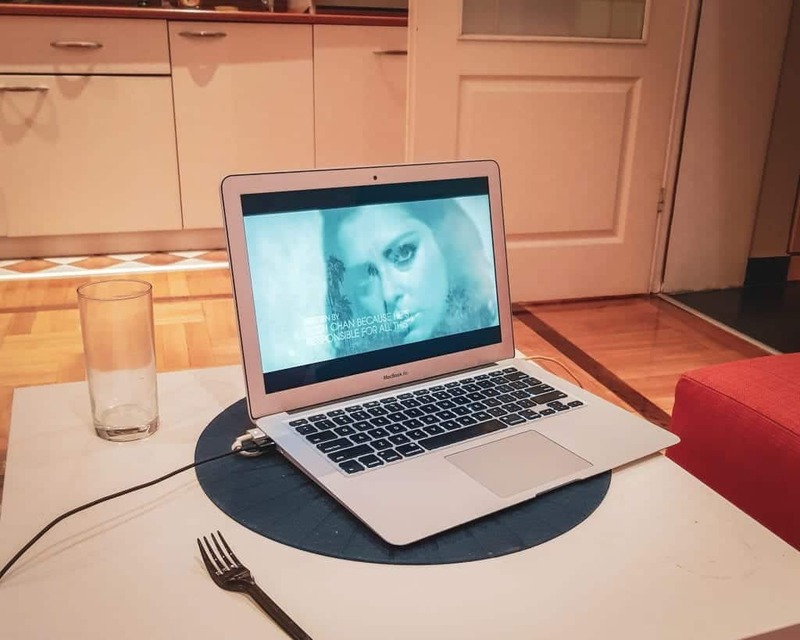 We found the wifi good enough that we could stream Crazy Ex-Girlfriend episodes in our AirBnB after long days of exploring Belgrade. We think Rebecca Bunch would approve. In general, Serbia has pretty excellent Wi-Fi. 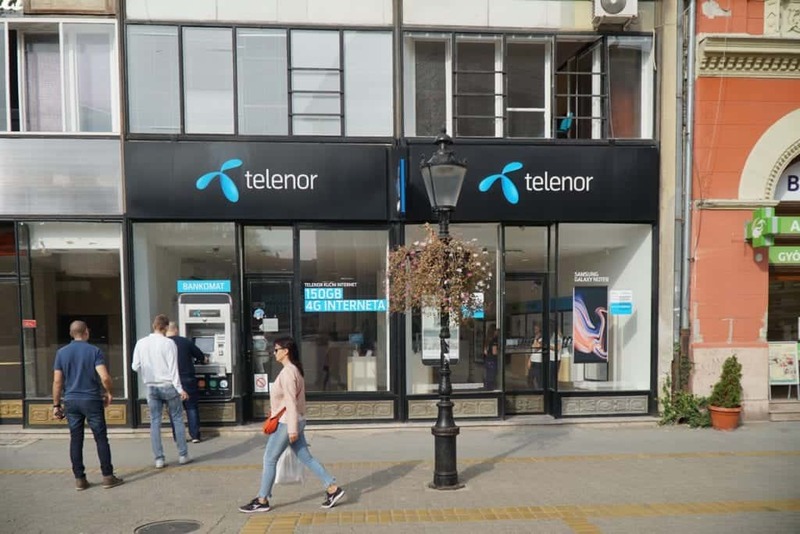 Between the two of us, we’ve used the Wi-FI in Belgrade, Novi Sad, Kragujevac, Novi Pazar, Nis, and Zajecar and in all instances, the Wi-Fi has been pretty fast and reliable. Most cafés will have Wi-Fi and you can occasionally find free Wi-Fi in hot spots in the park. We recommend buying a SIM card if you have an unlocked phone as it will make your life much easier. We wrote a guide to purchasing a SIM card in Serbia if you want a detailed account. We paid 300 dinars (roughly $3 USD) for a one-week prepaid package with 4 gigs of data and 1000 minutes at VIP. We found cell service across the country to be excellent (of course it’s better in big cities). Taxi drivers in the Balkans have a bad reputation and it’s not entirely undeserved. We got scammed by taxi drivers so much that we even wrote a guide to avoiding fake taxis in Sofia. Personally, I try not to take unregistered taxi rides unless I have to. If you or someone else calls a taxi from a company on your behalf to pick you up, the ride will be registered in the system, greatly reducing the chances that your taxi driver will try any funny business with you. 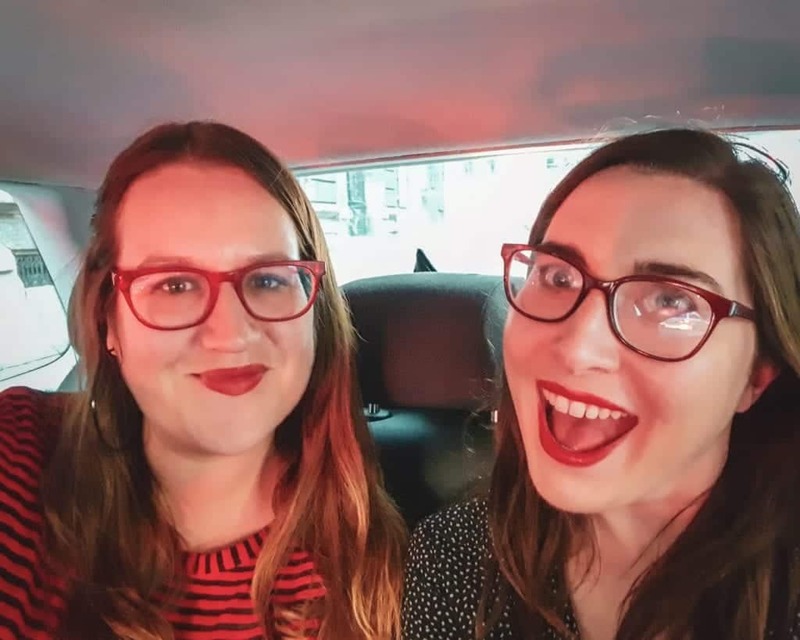 When we arrived at the Belgrade bus station and didn’t have working SIM cards yet, we ignored the pushy drivers who approached us as we got off the bus and walked to the nearest hotel and asked them to call a taxi for us. They were happy to oblige. Once we got SIM cards, we relied on CarGo in order to get us around Belgrade. 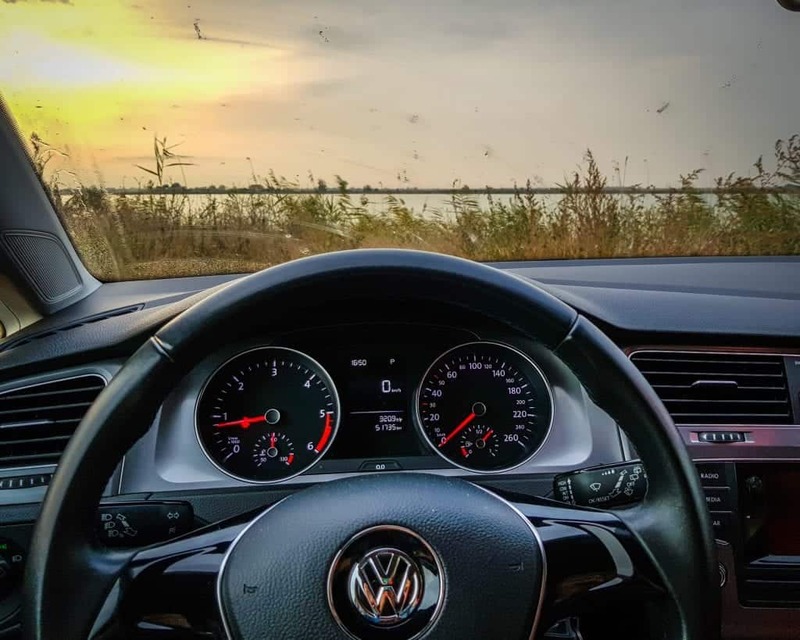 The app has similar functionality to Uber which is great because it means that you don’t have to deal with cash ever when going by taxi – your data is stored in your account and it is debited automatically. I also like that instead of rewarding a giant multinational conglomerate with questionable ethical practices, you are supporting a local Serbian start-up. Serbian food is delicious, but it’s also super meat-focused. You can find vegetarian options at most places (although they might be a strange combination of dishes), but vegan food is a little harder to find. 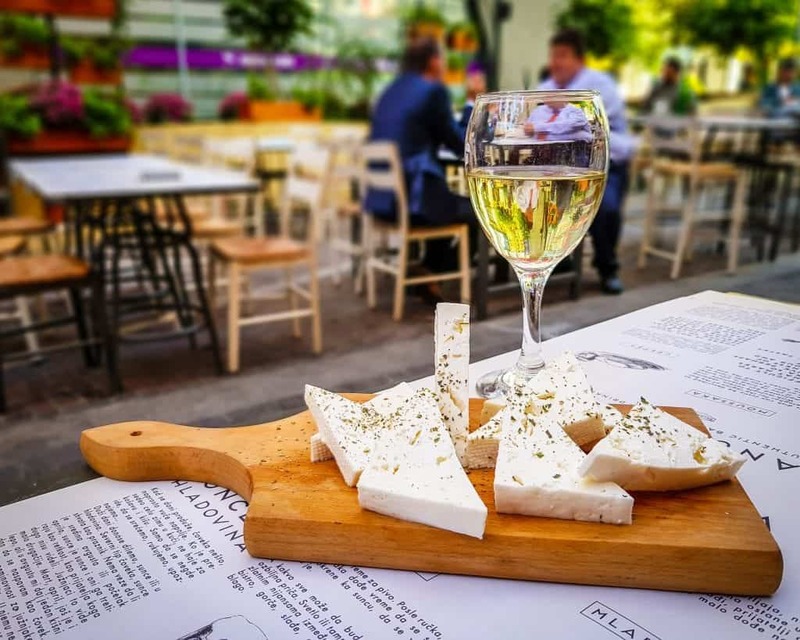 In general, Serbia is not a great place to travel for vegetarians and vegans, especially if you travel a bit off the beaten path in Serbia. 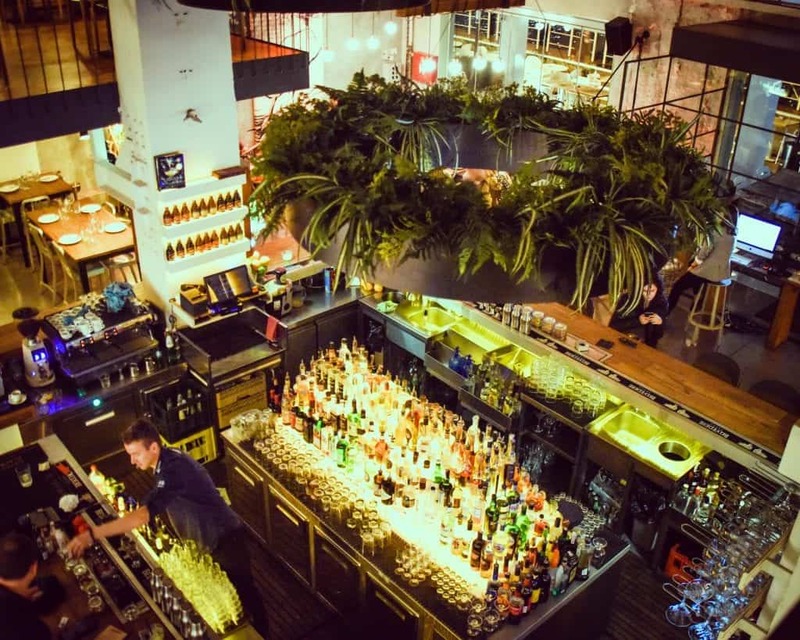 Belgrade has a ton of excellent vegetarian options, but it’s not necessarily the local food. Burek is generally safe for vegetarians if you avoid anything with meat (meso) or ham (shunka) or ‘pizza’ (pica). You can get burek stuffed with cheese, spinach, or my personal favorite – potato! You can find burek at any bakery (pekara). A few other traditional Serbian foods vegetarians should look for include Serbian salad (Srpska salata / Српска салата) and Shopska salad (Шопска салата). If the sun is setting, the birds are squawking. Every day around dusk, the birds of Belgrade go crazy, squawking up a storm. While it sounds like it’s the oncoming apocalypse or the start to a Hitchcockian nightmare, it isn’t. It’s just them jostling for position in their trees. Just avoid talking about Kosovo with Serbians. Just listen and learn from their perspective. You might find things are more complicated than you expect. 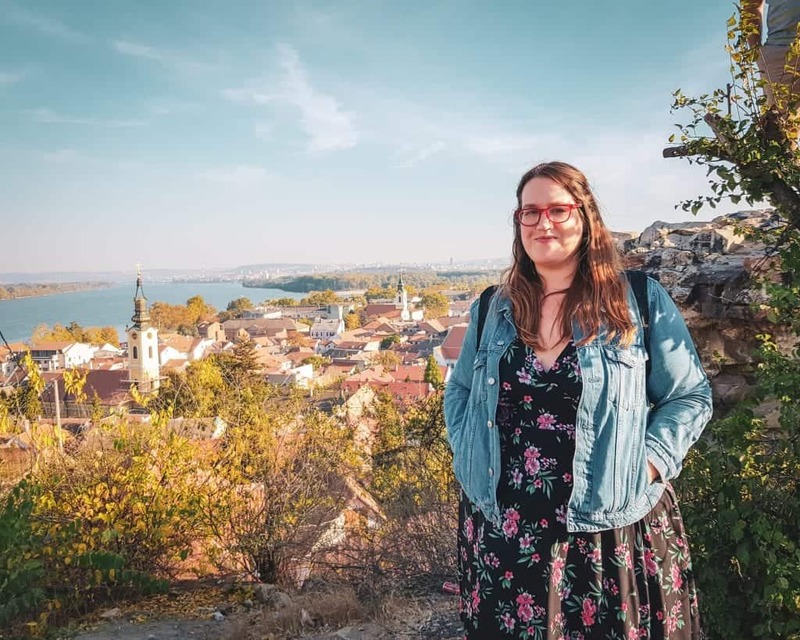 Even young Serbs have strong opinions about Kosovo’s quest for recognition, their current leadership, and what happened between the two countries over the past few decades. In fact, avoid referring to Kosovo as a “country” at all while in Serbia. While it’s perfectly fine to listen to them explain the situation from their point of view, there’s no reason to bring up your own opinions on the topic if they differ from that of your host or guide. You might also see memorials or pictures of people killed in bombings done by Kosovo political activists. In our opinion, it’s better to be polite and show respect to these innocent Serbians who lost their lives at leave it at that. 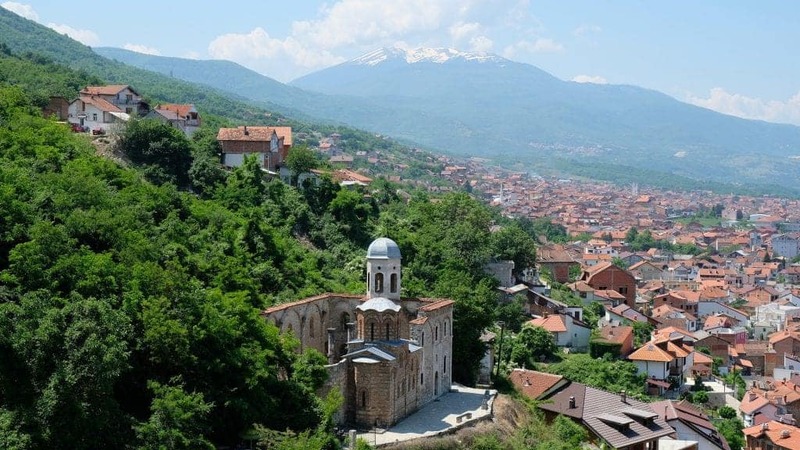 Want to visit Serbia and Kosovo on the same trip? You have to start with Serbia. 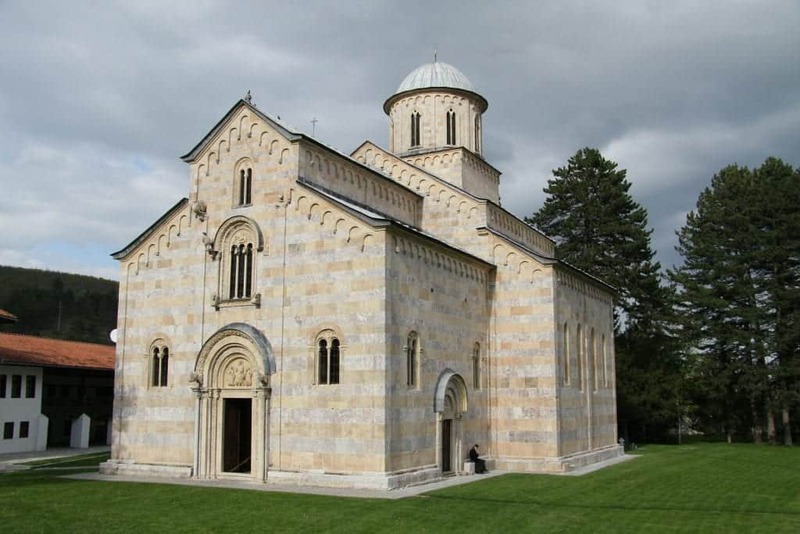 If you want to visit Serbia and then go to Kosovo, that is fine. If you want to go to Kosovo and then to Serbia, you must enter Kosovo via Serbia. Essentially, if you enter Kosovo from Macedonia or Montenegro, and then try to cross into Serbia, Serbia will consider you to have entered their country illegally since they do not recognize Kosovo independence legally. Practically, they are aware that they don’t control these borders, but that is not the issue here. If you cross into Serbia and then go on to Kosovo, you will have the correct entry stamp in your passport for Serbia, and they will treat you as if you have been in Serbia the entire time. If you try to board a bus in Kosovo headed to Serbia, the bus driver will check that you have a Serbian entry stamp before allowing you to board. When trying to plan the bus route for Visegrad in Bosnia to Pristina, Google Maps did not have the routes through Serbia showing, and instead, it tried to direct me to go back to Montenegro. This would have added a full day on my trip! If you’re trying to take a bus to Kosovo and want to go through Serbia, you will need to rely on locals and the bus companies directly for assistance until Google fixes this glitch. Serbia allows smoking in restaurants, so make sure to ask to be seated in the no smoking section (where one exists). One thing that will feel very retro for many visitors from the rest of Europe or North America, is that Serbia still allows smoking inside of restaurants, bars, and coffee shops. These places can get pretty smokey, and during the day this can feel extra stuffy when sunlight is streaming through the windows amplifying the smell. If smoking bothers you, we suggest visiting during warm months when you can sit outside or finding restaurants that have non-smoking sections that aren’t next to the smoking section. The official language of Serbia is Serbian, a southern Slavic language. 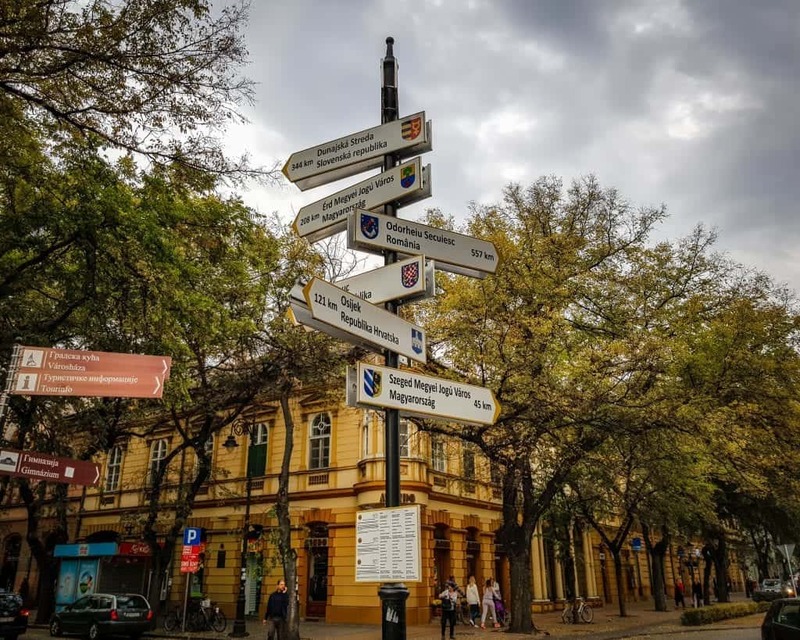 If you’ve been to Bulgaria, you’ll probably notice a lot of similarities with Bulgarian, since they come from the same branch of the Slavic language family tree. Linguist dispute whether Serbian is truly distinct from Croatian, or if there’s just one Serbo-Croatian language with varying regional dialects. I will stay out of that debate, but as a foreigner who doesn’t speak more than five hundred words of any Slavic language, I did not notice a difference traveling between Bosnia, Serbia, Kosovo, and Croatia. You’ll see a lot of English signs and meet a lot of English speakers in the big cities and other tourist zones. In Serbia, you’ll find the English language accessibility to be about the same as in other Balkan countries. In large cities and tourist centers, English is common. In Belgrade, your server or tour guide will likely speak perfect English, and it’s common to be handed an English menu without even asking. Tourist signs all over the city are also written in Serbian and English, making navigating between landmarks simple. In addition, young people (under forty) typically studied English in school, and they will usually be able to communicate easily. Older Serbs, who studied Russian in school, will be less likely to speak English unless they work in tourism or the service industry. In the villages and smaller towns, both spoken and written English is less common. In these situations, you will want to have Google translate or another translation app installed on your phone and a data plan on your cell phone so that you can use it. 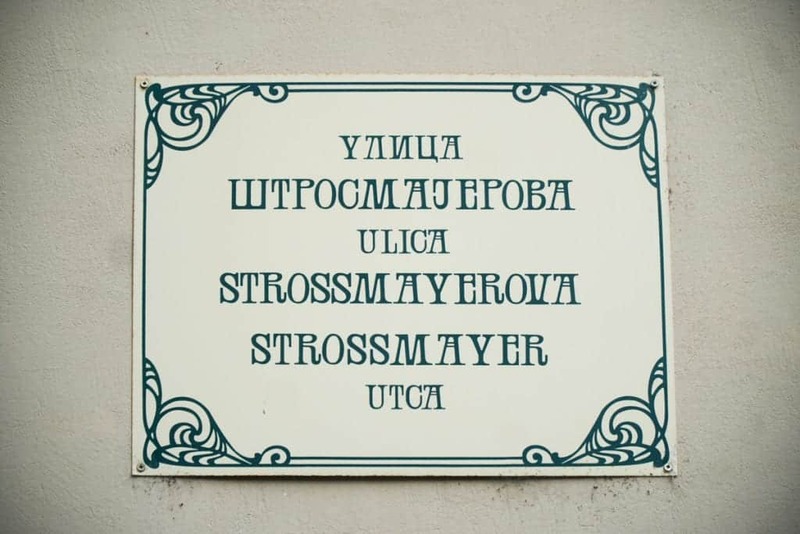 You’ll find a lot of uses of the Latin alphabet alongside Cyrillic, but knowing Cyrillic in Serbia always comes in handy. One thing that I love being able to do whenever I’m in Serbia is reading Cyrillic. In situations where there’s no English available, at least I can read what’s in front of me. (This usually entails finding the shopska salad and margarita pizza options on a menu). While Serbia uses latin letters often, I find it’s actually easier for me to correctly pronounce Serbian words when reading Cyrillic, rather than the Latin letters with the diacritical marks that turn all the tsz sounds into the letter c. You can easily travel Serbia without knowing the Cyrillic alphabet, but I think it makes your trip easier. Luckily, we’ve created a handy PDF explaining the Serbian Cyrillic alphabet and its pronunciations that you can print out or keep on your phone. You can download it via the form below! Allison chatting with one of the world’s nicest pharmacists. Going to a pharmacy (Apteka) in Serbia is an easy process. However, some medications typically available in the European Union aren’t stocked here. Since Serbia is not in the EU, prescription and medication rules here are different. We found that most of what we wanted was available easily, but some things were not. For example, they did not have the specific brand of OTC antihistamine that we were looking for (though available in the EU), but we were able to get an alternative. Contact lenses are available without a prescription, making this a great place to stock up on contacts if you know what your prescription should be. 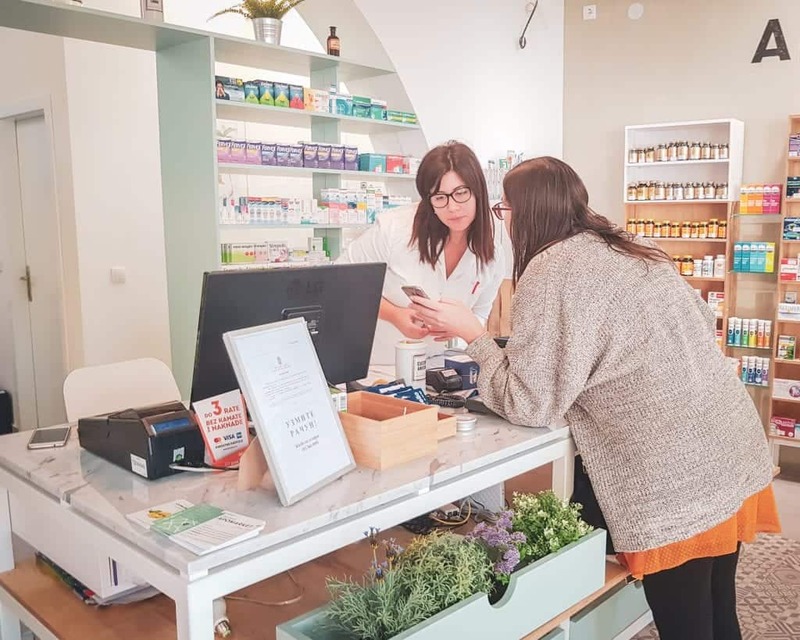 Overall, we found pharmacies here to be friendly and well priced, with rules slightly differing from the EU that made some items easier to get and other items harder. If there’s any medication that you have that is crucial, bring enough with you just in case. First the basics: you drive on the right side of the road like the rest of continental Europe and North America. Driving in Serbia is surprisingly pleasant! The country has invested a lot in maintaining its roads, making driving on the highway a smooth experience. Because the country doesn’t have as many mountains as most of its neighbors, you’ll experience fewer small mountain roads and better highway visibility. There are a few things to watch out for, though. Traffic in Belgrade can be a nightmare, and the gas (petrol) prices are steep! Hanging out with our rental car at Lake Palic in Vojvodina. 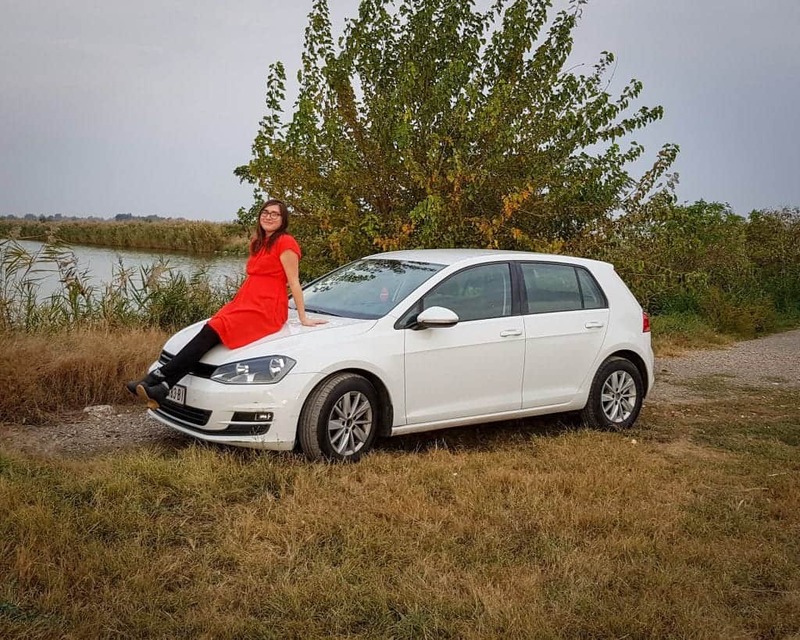 Renting a car in Serbia is easy, but there were a few surprises, including giant deposits (over two thousand Euros!) and the automatic cars being twice as expensive to rent as manuals. Combine that with high gas prices, and you might find it’s more expensive to drive a rental than to book a day tour if there’s less than two of you. Of course, if you want to drive to places completely off-the-beaten-path, then a rental car is clutch. Just know that if you don’t know how to use one (a clutch, that is), then you’re going to pay a lot more than in other countries. 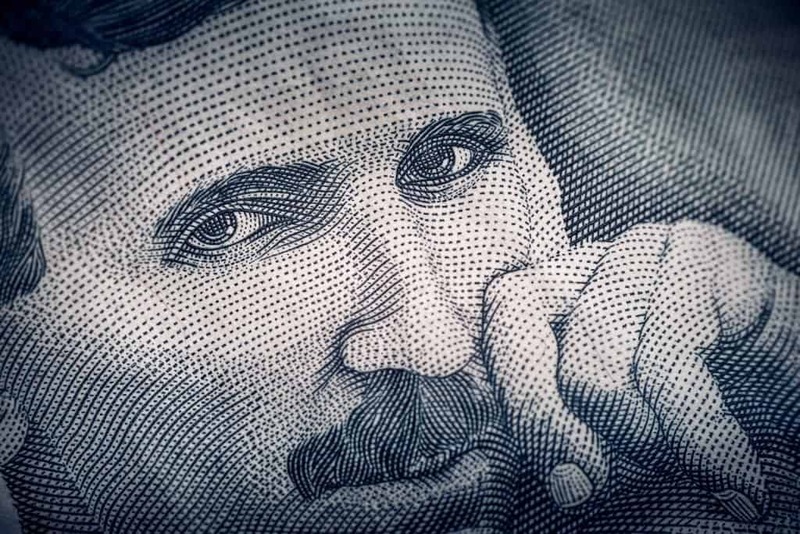 When you get some Serbian dinar, check to see if you have any Teslas. Serbian money is called dinars. You can get it at ATM, which is what we do since we get the best exchange rates. One hundred Serbian dinar is about 0.96 USD and 0.85 Euros. I just used the rule of thumb that one hundred dinar was about a dollar, but obviously, if your home currency isn’t USD then it’s not quite so easy. You’ll need cash when traveling outside of the cities since many businesses will not take credit cards. However, in the cities, most places took credit cards with the exception of public transport, pekaras, and museums. You’ll also want cash to tip since you can’t add tipping onto your card. To use your debit or credit for taxis, download the Car.Go app discussed above. 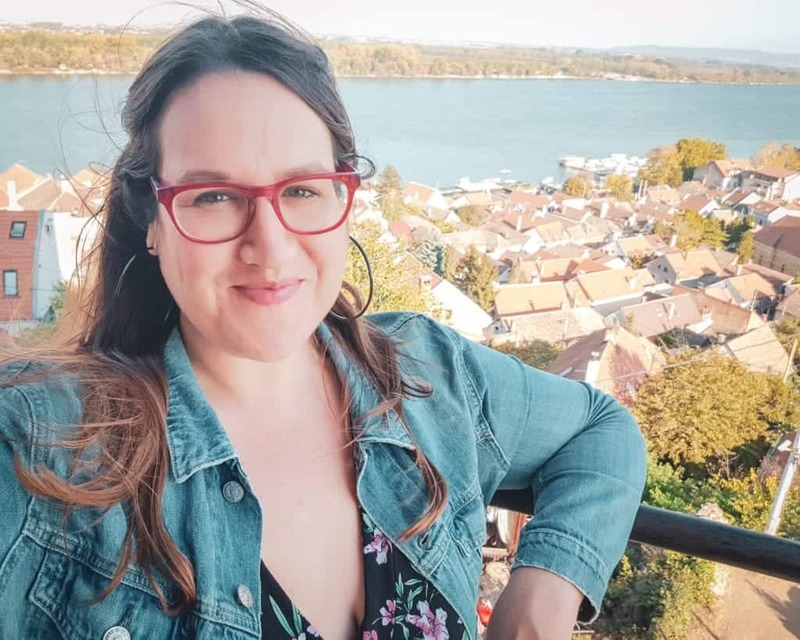 For my most recent trip to Serbia, I spent two weeks based in Belgrade. I used about $200 USD in cash and everything else was on my debit or credit cards. If you get good service, leave a tip of ten to fifteen percent in cash for your server. Like Bulgaria, Serbia doesn’t have a tipping culture but there are norms. In restaurants, it’s common to tip ten to fifteen percent. You won’t be able to leave a tip on your credit card at most places, so try to have small bills with you for these circumstances. If necessary, the restaurant will be able to give you change so you can leave a tip. In taxis (if paying with cash and not an app) just round up to the next hundred. Do the same at bars and cafes. 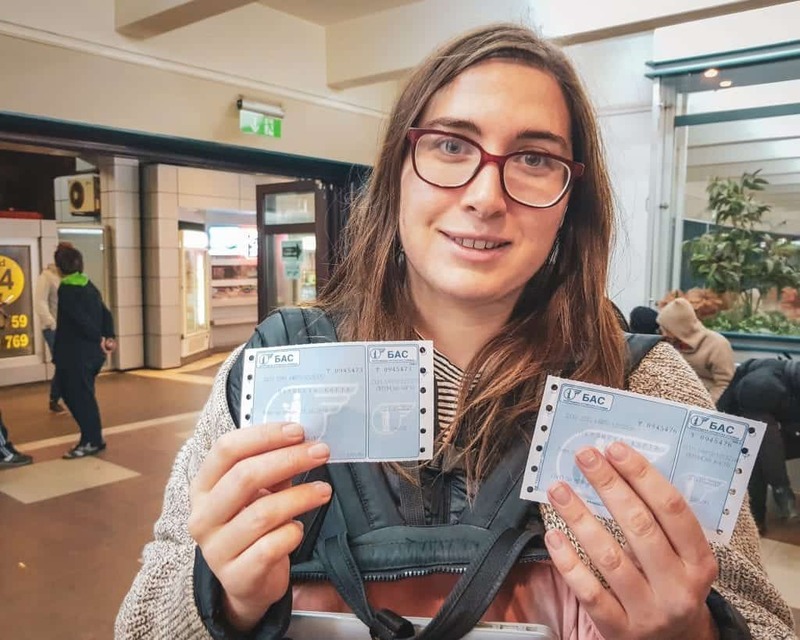 Allison showing off her our platform tickets for our trip from Belgrade to Sofia…Buying them was a minor inconvenience, but at 4 am everything seemed major to us. The main bus station in Belgrade, BAC, is a large complex spread out over several areas. Always arrive at least forty-five minutes before your bus is scheduled to depart to leave yourself time to check in at the ticket window (even if you’ve purchased tickets ahead of time) and find your bus’s platform. Note that you’ll need to purchase an additional bus platform ticket for 180 RSD (about $1.80) to be allowed to enter your buses platform. This price is in addition to your bus ticket price. For this fee, you may only pay in cash. There is an ATM in the bus station, but you’ll feel a bit silly getting out such a small sum in cash before you depart. I know we did! Worse, if you don’t show up with enough time to get the platform ticket (and cash if necessary) you’ll be in danger of missing your bus altogether. After two months of travel all over Serbia, we haven’t run into any safety issues that would make Serbia more difficult to travel than the rest of Europe. Like all places in Europe, there’s a low-level risk for terrorism from political agitators. The US State Department advises visitors to “exercise normal precautions.” (Check here to see if this alert level has changed). Be smart about your bags, alcohol consumption, general night safety, etc. But you should feel just as safe in Serbia as the rest of the continent. If you are an American, you can enroll in the STEP program (the Smart Traveler Enrollment Program) to keep the US government aware of your travel plans in case of an emergency. I personally use this program when in places a bit more chaotic than Serbia, but better safe than sorry, especially if this is your first trip to a Balkan country. One thing you’ll always want to have in case of an emergency or theft while traveling is up-to-date travel insurance. We use and recommend World Nomads. Serbia offers visa-free travel for up to ninety days for citizens of many countries. Serbia is not part of the EU or the Schengen Zone. However, many people can visit Serbia without needing to obtain a travel visa. Americans, Canadians, Mexicans, and most Europeans can visit Serbia for ninety days visa-free. Many more countries can visit Serbia for thirty days visa free, while citizens of Hong Kong can visit for fourteen days without a visa. People from Africa (with the exception of Tunisia) and a few other countries throughout the world will need to apply for a tourist visa ahead of time. Check with Serbia directly for the most up-to-date information. Remember that Serbia is not part of any visa scheme, either with the EU or with other Balkan nations, so if you can visit Serbia visa-free, this will not give you permission to visit any other Balkan or European country. 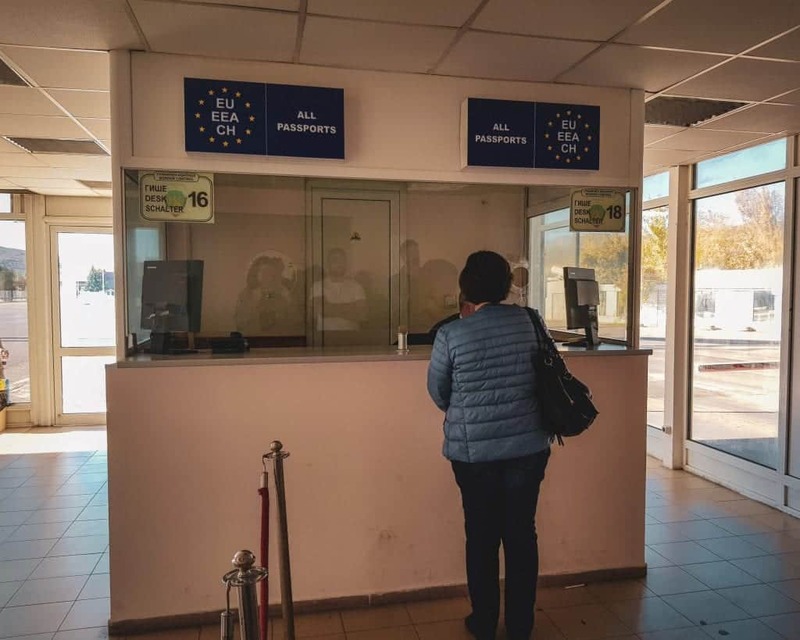 However, if you have a valid visa to visit the Schengen Zone (or a few other places), Serbia will give you visa-free entry and it will not count against your time in the Schengen Zone. One of the most important Balkan tips we repeat over and over is about travel visas. When traveling the Balkans, remember that the only countries which are part of the Schengen are Slovenia and Greece. For travel to the other ten Balkan countries, you will need to check the rules individually. Serbia tourism registration seems both complicated and often ignored. Beyond the paperwork, you also pay a fee equivalent to four Euros. What does this mean for people who rent through AirBnB like I did on my most recent trip? I think technically the renter is supposed to register you. But I actually have no idea. And not once did any Serbian official ask me about it, nor did our AirBnB host mention it. So for the anxiety-ridden rule followers out there, know this exists. I’m sure you’ll go to a lot of trouble to make sure you’re registered. For the rest of you, it’s up to you if you want to ask your hosts about it. The only time I would personally worry about this is if I travel to Serbia in the future and fall under the category of not using official accommodations or staying with a private individual. But I don’t even know how I would do that. Want to take a never-ending supply of Serbia travel selfies? Make sure you have the right chargers! Serbia uses the same electrical outlets common across Europe and 220V. Remember that in North America, our outlets are 110V, so be careful about what you plug in here. I use a converter since my main electronics (laptop, camera charger, phone charger) can all handle 220V. Many appliances like hair dryers would blow if you plug them into just an outlet converter. If you absolutely need to bring an appliance from North America that only takes 110V, you will need a voltage converter. These are pricier than just an outlet converter since they actually change the amount of voltage coming out of the outlet and flowing into your appliance. 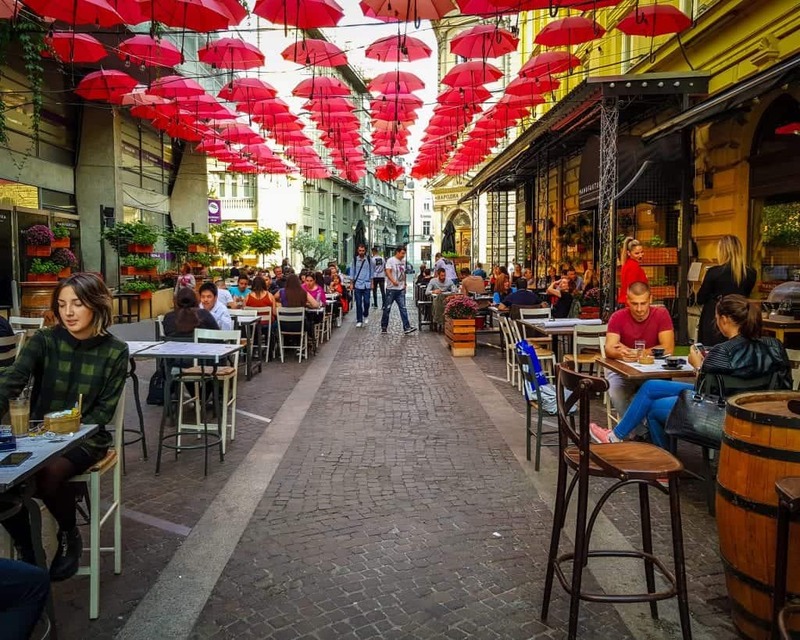 We know one of the most intimidating parts of planning your trip is figuring out where to stay – so here are some tips for where to stay in Belgrade, the main port of call for most Serbia trips! 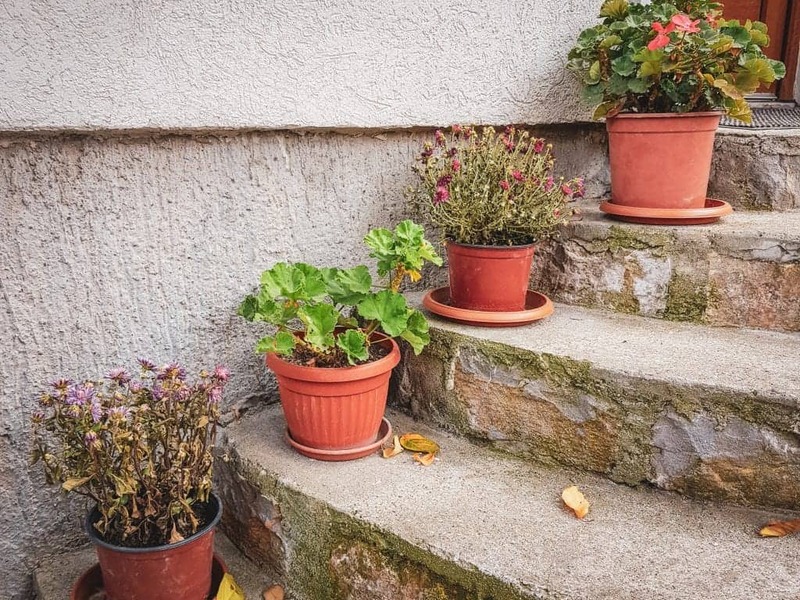 If you want a more traditional accommodation option, we recommend the affordable four-star Zepter Hotelon Terazije, one of our favorite streets in all of Belgrade. It has all the amenities you’d expect from a 4-star hotel, like a gym room, in-room coffee machine, and a fantastic daily breakfast. Rooms sell out often, so check out availability and book in advance. Have you traveled through Serbia or are you planning an upcoming trip? Leave your best Serbia travel tips and any questions you have for your trip below! its overall wonderful reading you blog. I would like to know any information regarding taking a train from SOFIA to SERBIA & SERBIA to BUDAPEST? Thank you Dheepan! Unfortunately, in winter the train schedules run quite differently and it is really inconvenient to take the train as it requires multiple connections (they are better in summer). Instead, I recommend you to take a bus. From Sofia to Serbia (Belgrade) we have a post about it here: https://sofiaadventures.com/sofia-to-belgrade-bus/ that has full details better there I can write down in a comment. 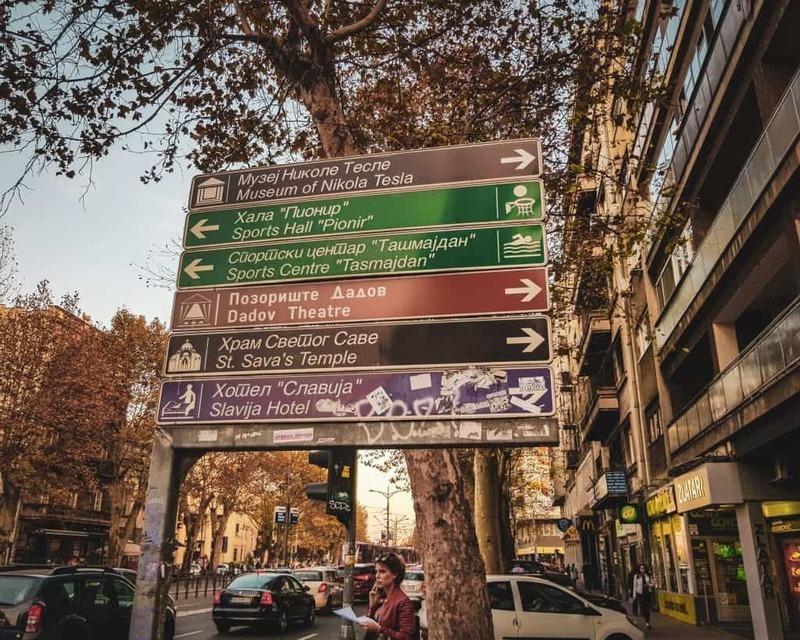 Basically, You leave from Serdika Station in Sofia (NOT the Central Bus Station, but they are very close – about 100 meters walking distance) and then you arrive just outside the Central Bus Station in Belgrade. There is one direct bus a day. You can also take Matpu to Nis, and then take the Nis Express to Belgrade (two buses). From Belgrade to Budapest I recommend taking a Flixbus (flixbus.com) – there are two a day leaving Belgrade, one in the morning and one at night. They go from Belgrade Central Bus Station to Budapest Népliget. Wow! You’re going on a trip of a lifetime! If I were planning a trip with 3 months for Serbia and Montenegro, I would want a base for a few weeks at a time and then do a couple of shorter overnights. 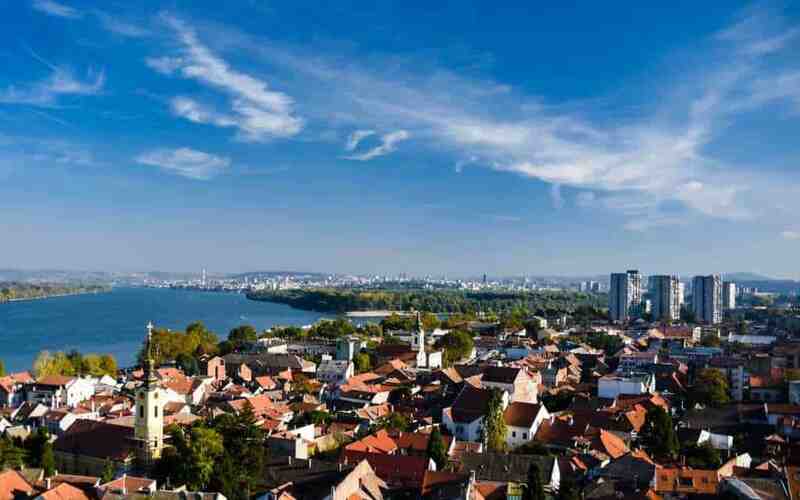 For example, you could base yourself in Belgrade but then do a few nights in Novi Sad and Subotica before moving on. I’m super jealous, sounds like you’re going to have an amazing time! I would not skip going to Kosovo. You can cover most of the sites in Kosovo in a week! Definitely check out our post on the best cities and towns in Serbia. Three months is more than enough to do complete justice to Serbia and Montenegro! Im a Srilankan passport holder . And i have US multiple visa. At its meeting of 30 October 2014, the Government of the Republic of Serbia adopted the Decision on visa free entry to the Republic of Serbia for holders of foreign passports having a valid Schengen, UK and other Member States’ visa, or visa of the United States of America, and for holders of foreign passports having residence permit in the countries of the Schengen area, EU or the United States of America, which was published in the “Official Gazette of RS”, No. 119 of 31 October 2014 and which will enter into force on 8 November 2014. My advice would be to print this out and have a hard copy with you in case the border officer isn’t aware. You can find it on their website here. The first place to start would be to get a travel visa to Serbia. Are you based in Nigeria or somewhere else? Do u know anyway to have a private transfer from Blegrade airport to Kraljevo? And then return back to the airport 10 days later?